Probably my favourite photo of me feeding my daughter, I couldn’t resist sharing it. 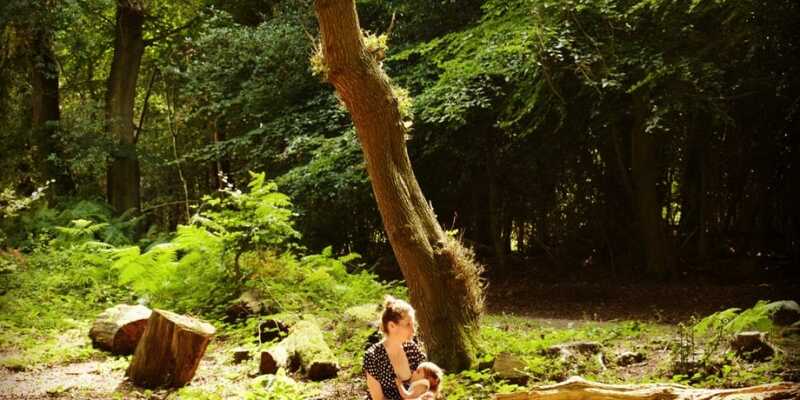 Our journey began before I was even pregnant- being a trained midwife, I knew all about the health benefits of breastfeeding, I supposedly knew how to do it but none of that stopped me from doubting it would happen. I had seen many mums and babies struggle with feeding and I knew it was no easy path. So, when I did eventually get pregnant, I decided to hand express colostrum and store it in the freezer. By the time my daughter was born, I had about 12ml stashed away (that may not sound like much but in terms of colostrum it was a little gold mine). Having that as my back up, I felt confident that at least my daughter would get something from me, even if she never breastfed. Thankfully, on the day she was born, she latched on perfectly and it seemed as though we spent more time feeding than anything else. I remember those early days- just sitting on the sofa staring at my baby. In awe of what I had made and in awe of the fact that she was mine. As she fed, I’d feel her little ribs moving against my arms and the warmth of her head in the crook of my elbow. I loved it. It was far from comfortable at first but I knew she was latched well and when she had gained 100g at the ‘Day 5 Weighing’, I knew we were fine. (Side note- I can’t emphasise enough the importance of getting the latch right, please, please, please get your midwife to check or get in touch with a breastfeeding peer supporter or lactation consultant- it can make the world of difference). After a few weeks we introduced a bottle of expressed milk- I can’t actually tell you how hard I found that. Even though it was my milk, it just didn’t feel right. I found it really strange but I knew that I was going to have to leave her and I wanted her to have the flexibility of taking a bottle, so that’s what we did. I pumped and she took a bottle every two days for a couple of months, until I got fed up of pumping and then she forgot how to use a bottle. At least I got a couple months of freedom, although in reality I very rarely left her, I think it just helped my mental health to know that I had the option to go out if I needed to. A few months into feeding and I still didn’t have a routine- I look back now and wish I hadn’t worried so much about routines. She fed when she wanted and slept when she wanted. It meant life was chaotic but I learnt the hard way that there really is no telling a baby when they should or shouldn’t eat or sleep! They all do it when the time is right for them and, really, that makes perfect sense. I carried on feeding her and there were times when I found it hard- I was starting to feel more self-conscious feeding in public and sometimes I found it overwhelming, being the only one able to settle her. But then there were the times when it was invaluable- I fed her through illness when it was the only thing I could actively do to help her get better, I fed her through the nights (knowing that without it, we would have been getting even less sleep) and I fed her any time she cried- if she fell over, milk would stop the tears, if she missed her dad, milk would soothe her and if she couldn’t calm herself down, milk would do the trick. It was basically my go-to for any situation. We carried on happily like this for a long time, my goal had been to feed her until she was two, going along with what is generally recommended worldwide but on her second birthday, she was nowhere near ready… and neither was I. 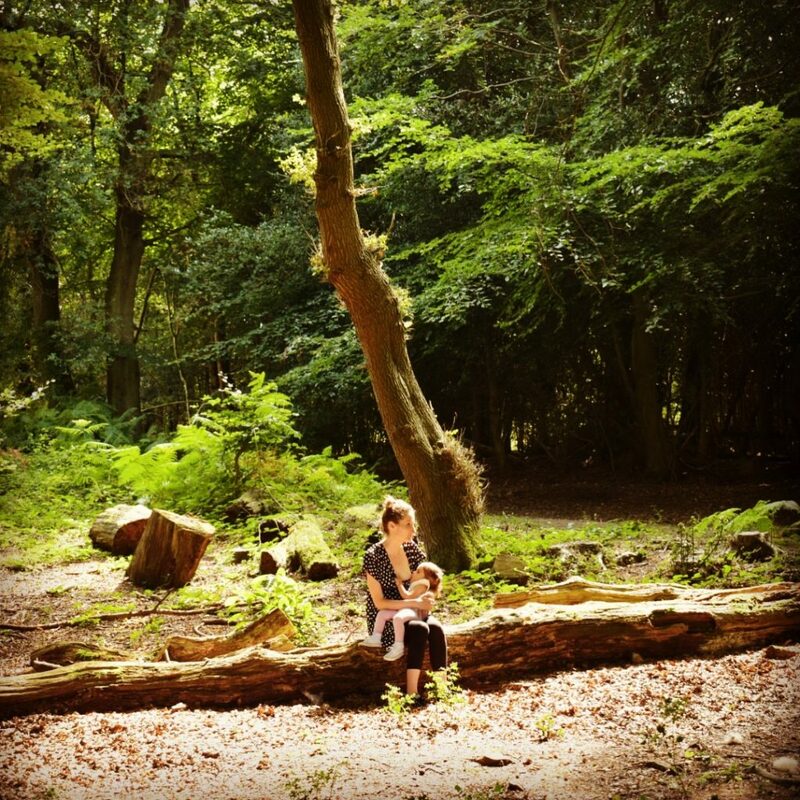 The bond that we had created through breastfeeding was so strong and it felt invaluable. I wasn’t ready to let it go. So, we carried on. Until we reached a time when it felt right for the both of us. I began to develop an aversion- every time she wanted to feed, I would be filled with dread and anger (it was a strange feeling, after enjoying it for so long). So, we made a calendar and ticked off the days until the final day came. The picture below is of our last breastfeed, it seems rather fitting that I was in my pyjamas after working a hospital shift that day and that the cat came to join us- it summarises nicely the crazy chaos that ensues with breastfeeding a young child. 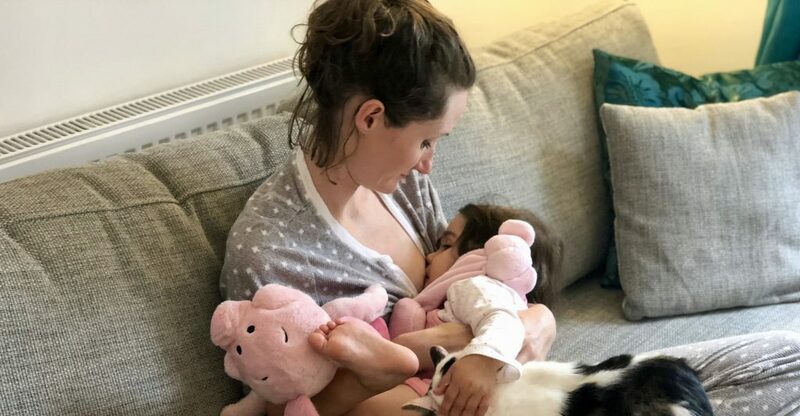 Our last breastfeed.. naturally joined by a pink elephant, Piglet and the cat! And that was that. There are certainly times when I miss it. There are times when she is upset and I know that a breastfeed would have helped but then there’s what I’ve got instead. We replaced ‘mummy milk’ with ‘big cuddles’ and that’s her source of comfort now. It’s actually really lovely. Looking back over that time, I had no idea what our journey would look like. The thing is, no two feeding journeys are the same. We must all find our own path- the one that works for us and for our babies. There are no doubts that that path will be filled with ups and downs but you’ll find your way, just tune in to what is best for you and your family, let go of what anyone else is doing and do it your way. If you need any support with breastfeeding- we have a local peer support group here in Havering called LatchOn and in Southend you can go along to Cake Club on a Thursday and access support there, too. I’d love it if you wanted to share your story too- just email me at chloe@doitlikeamother.co.uk and I’ll share your words too.